Nice tutorial Jeff. That is very clean looking. Bat Man wrote: Hi, new to the board here. I own a 2007 Silver V6 Sport Coupe. 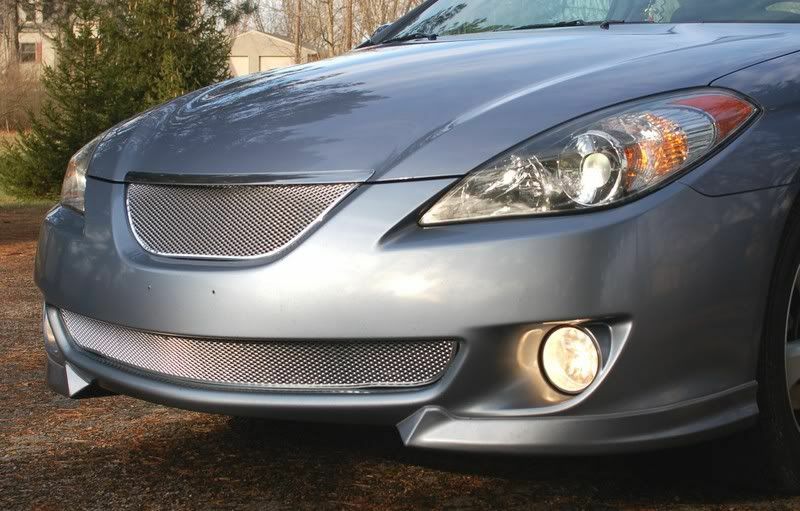 The front bumper has always bothered me, I much prefer the 06 bumper. the gen2.5 lower part is different, it wont be able to fit. michael t grills are only for 2004-06 but you can be the first to make your own? I'm gonna look at doing that with mine this spring when it warms up. It will eliminate the "slight" gaps that exist with the "FRONT" install... and I LIKE how yours looks. Easy to do and undo, either way. Really not MUCH gap at all... but getting the "ends" to fit snug and stay put is a little tricky... especially to keep it JUST EVEN on both sides. I think your trick would make it VERY clean and secure. Jeff! What happened to the link to your ride? We need a FULL-ON frontal (of the car ) to really see what's up with the finished look! How about a pic or link? PhreakdOut wrote: Nice tutorial Jeff. That is very clean looking. Thanks for the head's up. 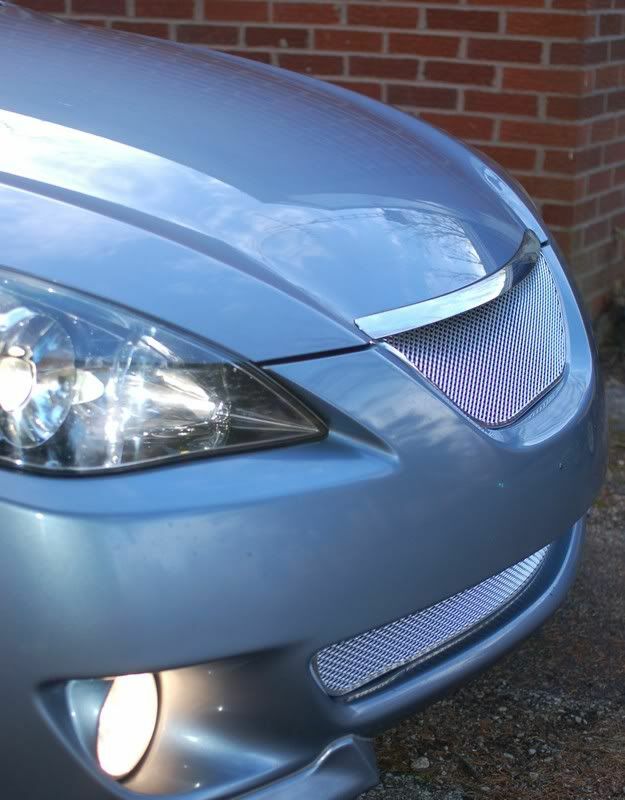 Any idea where I can find a sheet of that patterned plastic grille material? Any special tips on cutting it? Haha, I did that to some lady in her convertable Lambo today! We were both at the light and I just took a pic and she smiled. Nice car..
First post actually. 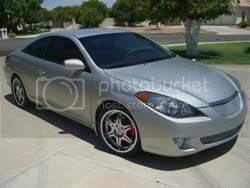 Just bought my first Solara over the weekend, it's a new 2008 that they still had on the lot, in Gray Metallic. For how nice this car seems to be laid out and designed, I'm totally amazed that the lower grill is so wide open like it is...? I just started looking around here and came across this post. The work done in the post here at least looks similar to what mine does. It's WIDE open with a couple of vertical posts in between. The material that you used on here, was it something that you purchased from Toyota or is it a material from a Home Depot etc...?